and Free Book Giveaway of "Enchantment!" 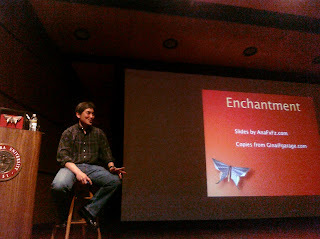 I admit I'm partial to butterflies (hence, my logo), but I would have loved Guy Kawasaki's talk on Enchantment, his new book, in any case. Guy delivered an animated, fluid, and inspired presentation to a packed crowd at Santa Clara University on March 28th. Using super simple slides (one image each), that showed images ranging from his trips abroad, including as far away as India, to nifty infographs, to family photos and snippets of e-mails, Guy illustrated his take on how to be enchanting. The audience was reminded that enchantment is important in all walks of life -- we want to enchant our employers, our friends, our families, and even ourselves. "How often," he recounted to the audience, "do we meet people and they don't smile when they say hello? How hard is it?" 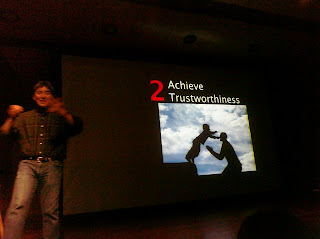 Guy talked a lot about the theory of reciprocity, and how powerful it is. "People really want to do the right thing," he said. "You do someone a favor, and the power of reciprocity is really strong. They'll remember, and want to reciprocate." It was quite a surprise that everyone in the audience was given a free copy of the book. I was also able to grab one for my subscribers and Fans. Just post a comment on what Enchantment means to you, by April 15th, and you're entered to win. Now, onto some of the great slides...these are just a few from the session. Test yourself and see if you're practicing "enchantment" with those in your world. 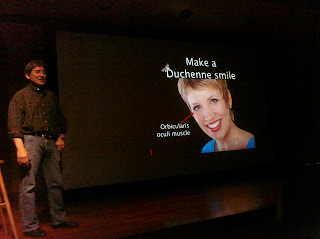 Make a "Duchenne" smile - this means an authentic smile, like Facebook expert Mari Smith! I've read so much during the last year or two about the importance of storytelling in marketing, so I wasn't surprised at this one, but it was a great reminder. This has more to do with the "show don't tell" idea. 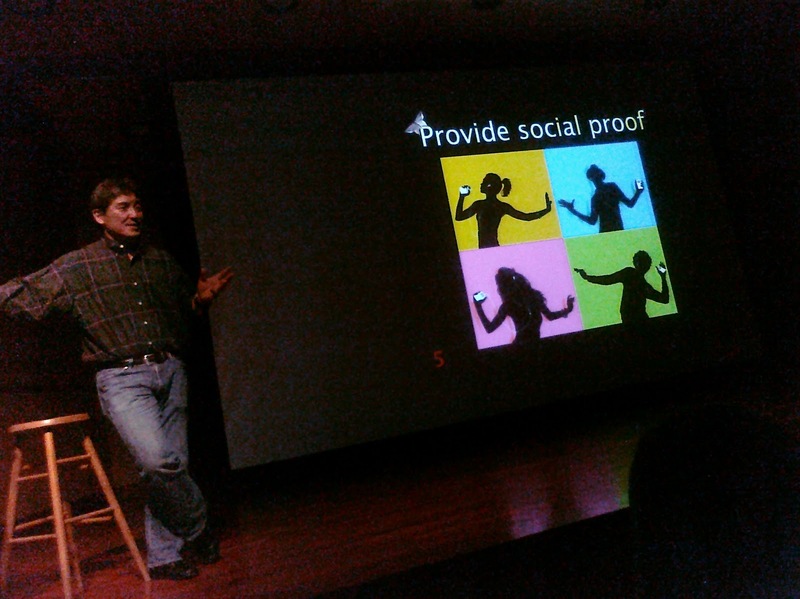 People don't want to know how great you are, they want to see social proof. Who is writing about you? Who is retreating you? Are you getting positive buzz? 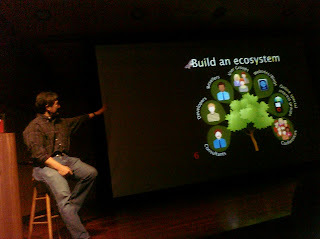 This was really interesting, to think in terms of ecosystems, such as user groups, consultants, buyers, readers, etc. 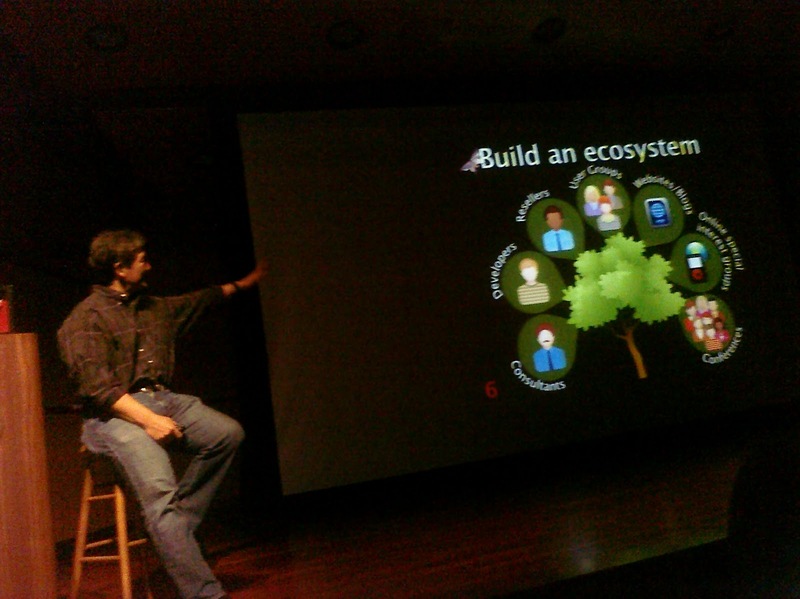 I think many of us want these systems and people and appreciate them, but don't necessarily visualize it in this way. Love this one. 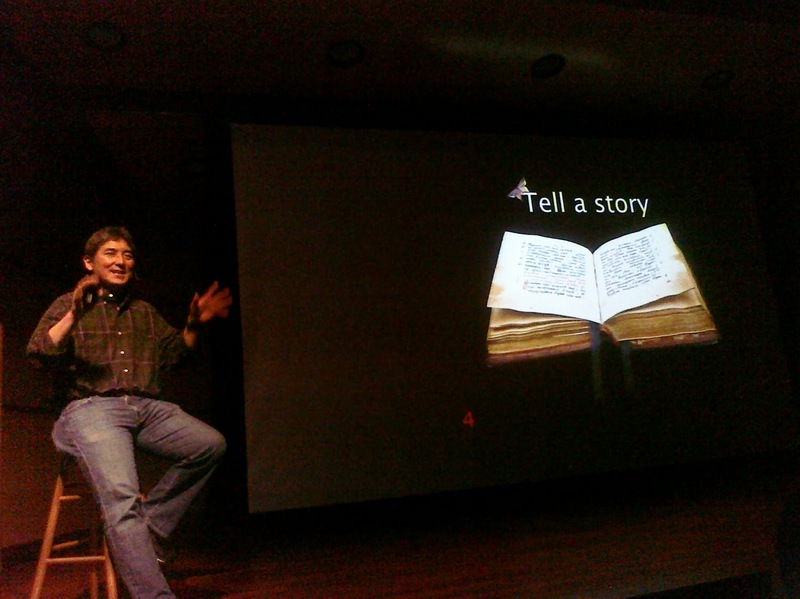 Some rules of thumb for great presentations like this one. 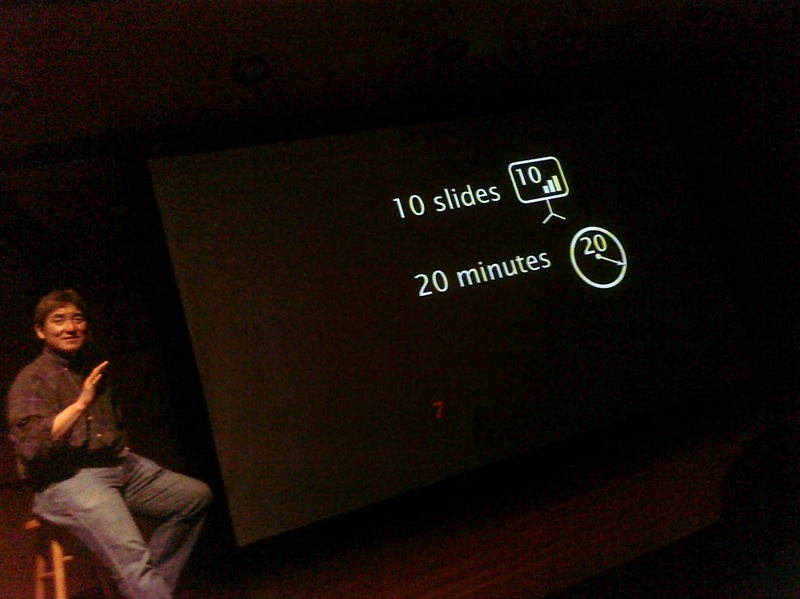 Try to keep to 10 slides maximum, with a presentation time of 20 minutes. 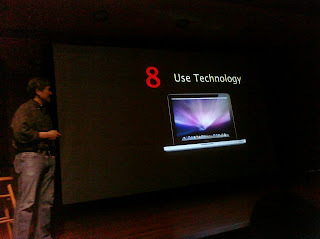 Also, one image per slide works best. I've seen so many presentation crowded with complicated type and graphs, and they really just confused me or didn't keep my attention. This one is key. 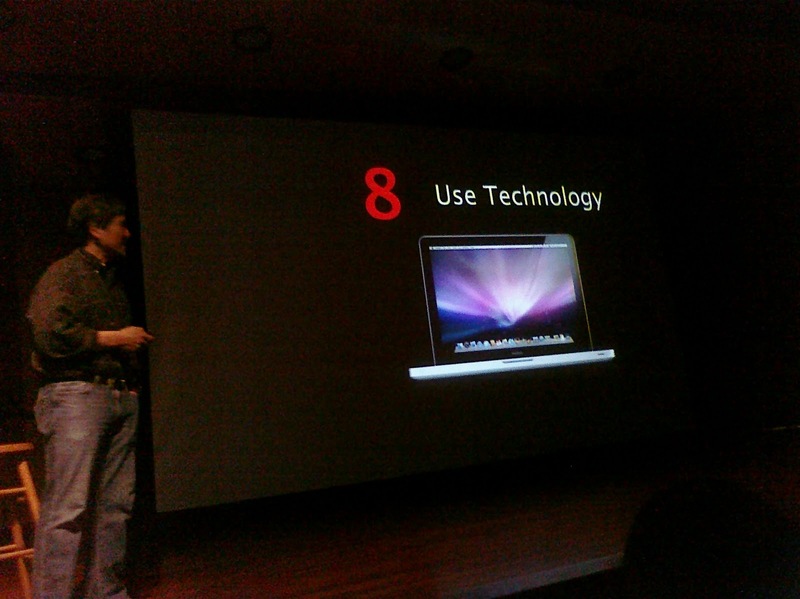 I've been to many events or presentations that didn't include any technology, and they were a bit dull. 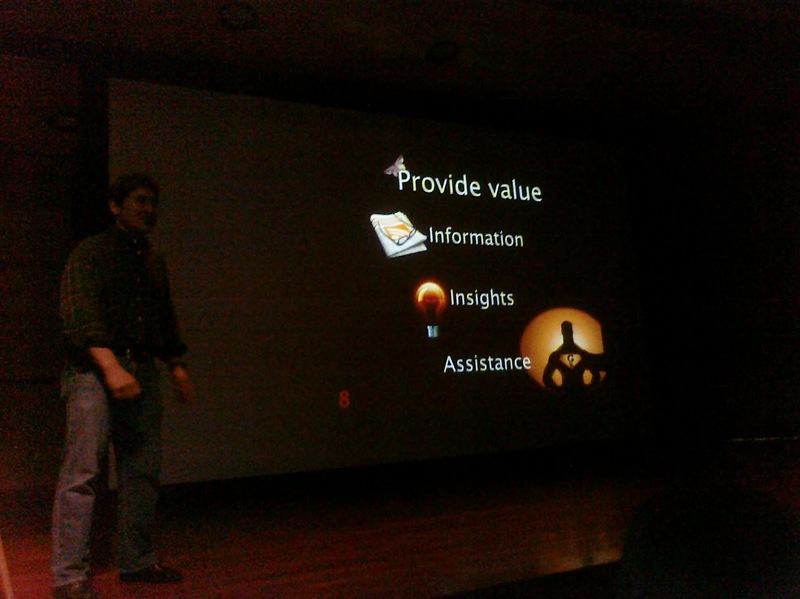 I once attended a presentation where there was 1 slide on display the entire time. It was driving me crazy. I felt like saying, can you please show us something else?! 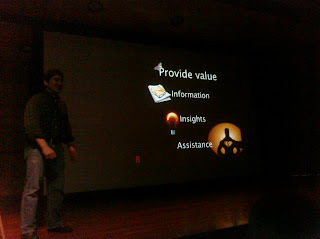 Of course, you want to provide value to your colleagues, associates, employers, anyone in your sphere. How can you be most valuable? Provide information, add your insights, and be active by offering your assistance. I'd want this from anyone I needed help from, or anyone I was providing help to. 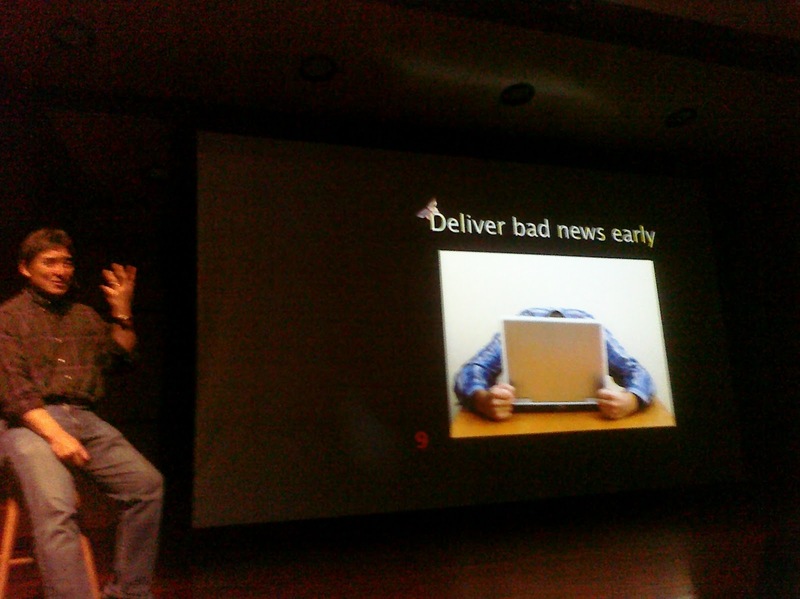 No one wants to deliver bad news, but if you have to, doing it early is a good plan. Bad surprises are bad enough. I also think that doing it early ironically, shows you're ahead of the game. There may be still time to fix the problem, or soften the blow, depending on what it is. 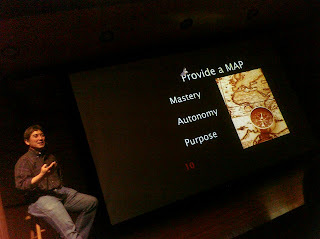 MAP idea is nifty - Mastery, Autonomy, Purpose. This applies to many aspects of life, but entrepreneurs in particular need to have this idea in mind. When embarking on a new endeavor, you need to master your topic or at least be authoritative, be able to fly with it, and feel that it has a higher purpose. It's no coincidence that people tend to do best in what they are passionate about. Action - yes! Sometimes, we get so engrossed in a project that we forget what the bigger picture is. 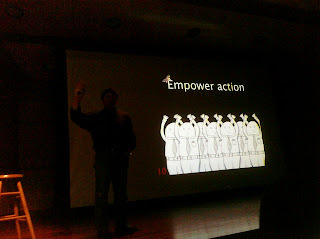 To inspire others to take action themselves, whatever it is. In a business model, this might mean writing a book, starting a blog, or creating videos. Or in a social good sense, it might mean taking up a cause or benefit, raising money or awareness, or launching a campaign. What are your thoughts on these slides? What do you think enchantment is really all about? Post your comments here, and I'll be choosing a winner at random on Friday, April 15, to win a copy of Enchantment! I watched part of this presentation via a link Guy Kawasaki put up on Twitter. I think this relates right back to part of his presentation about being generous to people and trying to say yes. I never would have been able to afford to attend on of his presentations, but thanks to his posting, I got to and learned some great stuff. This then made me interested in buying his books. I think a lot of his book is about relating to people and developing good relationships which will translate into a successful business. I don't know any personable people that are not successful, there is a lot of power in relating to people. Thanks for your post, Amber! Yes, relating to people and developing good relationships both in person and online are so important, excellent point! Good luck in the contest and have a great week! Amber, I saw the same video. Never really thought about limiting presentations to 10 slides, 20 minuets. But light bulb went off when I read it.